File this one in the genius repurposing file! Use old shower doors as part of your outdoor compost bin. 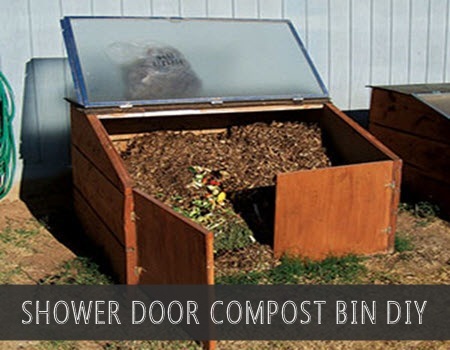 The glass door works as a great lid and allows you to see inside an observe your compost. Having a lid installed on our compost bin has two main advantages. First, the lid will help contain the moisture needed for successful composting and prevent it from quickly evaporating. This is especially true during hot and windy weather. Second, securing your compost bin with a lid – perhaps even a latched one – will significantly deter scavengers from digging up food scraps.